(REPOST from JournalWeek) Every second Sunday of May, many countries around the world celebrate Mother’s Day in their own way and tradition. The popular ways of showing appreciation to all mothers and mother figures are giving gifts, cards and flowers and having family gatherings. All mothers and motherhoods are honored and remembered for their sacrifices and unconditional love for their children, just like the celebration of Father’s Day. Mother’s Day is one of the most commercialised celebrations not only in the United States but also in other countries because of the giving of gifts, flowers and greeting cards to celebrate the event. During the ancient time, the Greeks had the earliest record of holding annual spring festival to honor their maternal goddesses. During the early Christian time, every fourth Sunday of Lent was celebrated as Mother’s Day to honor the Virgin Mary. In the modern era, the first private celebration was in 1907 in Grafton, West Virginia. On this date, a memorial was held by the event founder Anna Jarvis to commemorate her own mother. 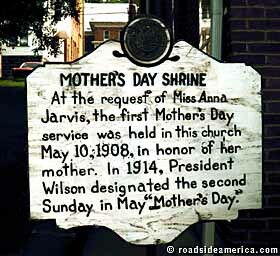 In 1908, the first church service to honor mothers was arranged by Anna Jarvis in West Virginina. May 8, 1914 was the date when U.S. President Woodrow Wilson declared the second of May as Mother’s Day. The first official symbols used in the celebration were the white carnation and the International Mother’s Day Shrine located in Grafton, West Virginia. Australia – the event started in 1924 by Janet Heyden from Sydney. The current tradition is pampering mothers with gifts, flowers, greeting cards and family get-together. Bangladesh – Cultural programs are organised not only in the capital city but also aired in radion stations and shown in television channels. Mothers also receive greeting cards, flowers and gifts on this day. Belgium – Before the actual day of celebration, the children at primary school prepare little presents for their mothers. It is also a tradition that the father bakes croissants and other sweets which he serves to his wife while she is still in bed. Canada, United States and United Kingdom – Small gatherings are held which also include gift-giving. In Canada, men give flowers to women which is called a Québécois tradition. India - The children thank their mothers on this special day whom they consider as god. It is not a religious event but in the Indian culture, mothers are treated and given great importance. Latvia – The first celebration was in 1922 but it was only in 1938 that the Latvians started to hold Mother’s Day every second Sunday of May. The day is a national public holiday. Japan – It was in 1949 that the country started celebrating Mother’s on every second Sunday of May. Children give their mothers red carnation or roses and other gifts. New Zealand – Mothers receive gifts, flowers and breakfast in bed on this day.